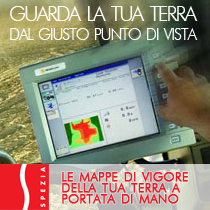 Spezia team is not only engaged in vineyard growing but extends on other agricultural products. 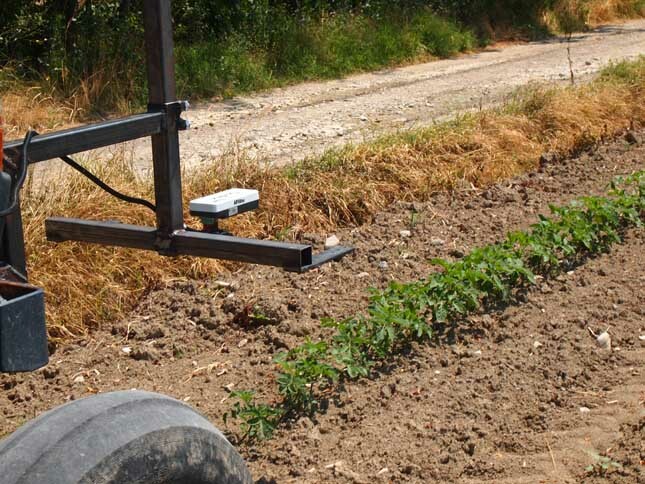 Spezia srl is now leader in the experimental project on nutrition of industrial tomatos and mais. 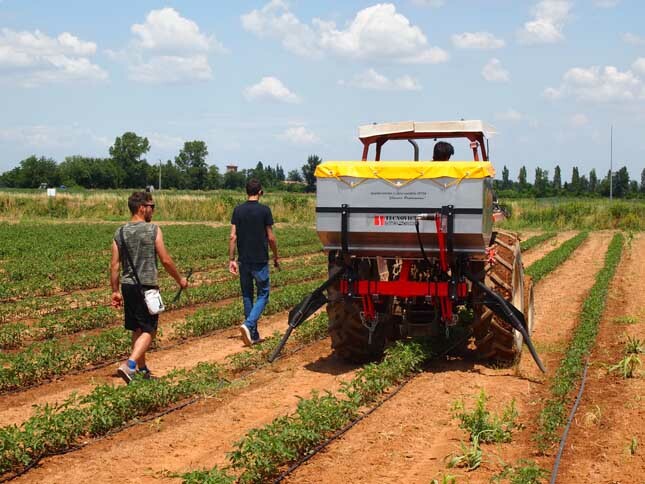 The project is developped with four companies: Spezia srl, Agronica Group srl (Cesena), ARP – Agricoltori Riuniti Piacentini Società Agricola Cooperativa one of the main tomatoes industies in the region, Carpaia Gabriele from Lugo (Ravenna) for the cereal part. 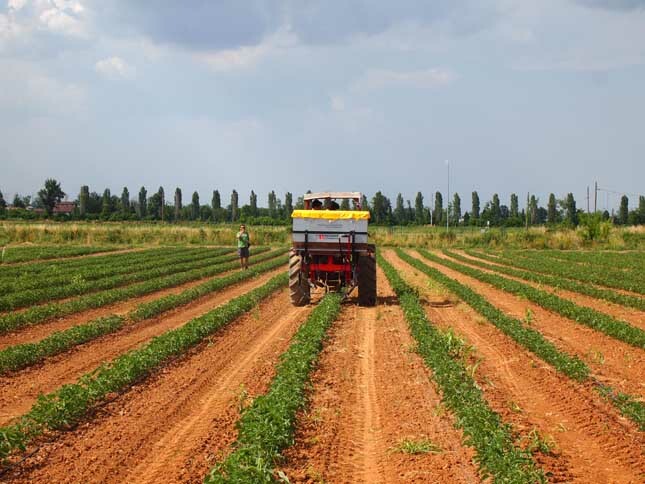 This group of companies in collaboration with Citimap and under the aegis of Reggio Emilia Innovation graces and funds dedicated by the Emilia Romagna Region has developed from January 2013 to today a project developed and verified in the open field of a nitrogen fertilization procedure in variable rate coverage of tomato from industry and corn guided in real time by the measures of vegetation reflectance provided by a multispectral optical sensor. For this purpose the vegetation index transfer functions (obtained from the multispectral optical sensor measurements) - nitrogen dose were developed on the basis of the bibliography and the Crast / Citimap spectral data archive. 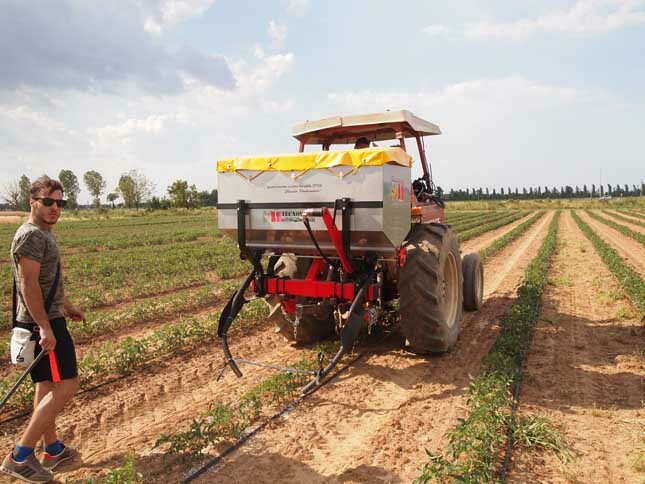 The developed procedure has been applied in full field on the two cultures through the provision of a TECNOVICT variable rate fertilizer spreader of a commercial multi-spectral optical sensor. Questa tecnologia permette di eseguire concimazione azotata in copertura senza dotarsi preventivamente di mappe di vigore e di prescrizione bensì solo di una macchina autonoma dotata di sensore ottico e software di elaborazione del dato tradotto in una dose di azoto istantanea. Questo permette flessibilità di impiego, facilità di utilizzo della macchina e grandi risparmi di concimi oltre ad un maggiore rispetto per l’ambiente. I risultati verranno pubblicati alla chiusura del progetto.